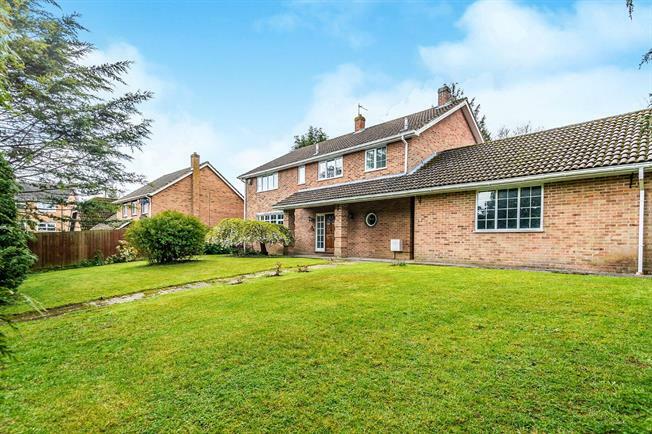 5 Bedroom Detached House For Sale in Tadley for Offers in excess of £600,000. GASCOIGNE-PEES-This Large detached property comes to market with a large garden, double garage, and five bedrooms. On the ground floor there is a large entrance hall with doors to a utility room, kitchen breakfast room, downstairs cloakroom, dining room, lounge and family room. There is also access to the detached double garage. On the first floor there are five double bedrooms large family bathroom and very large airing cupboard. To the front there is an enclosed private garden surrounded by shrubs and bushes.